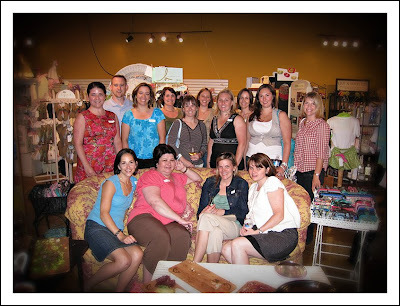 Our Shop, Sip & Savor fundraiser was FANTASTIC last night! I have to admit – I was having so much fun I only took about 4 pictures – sorry! 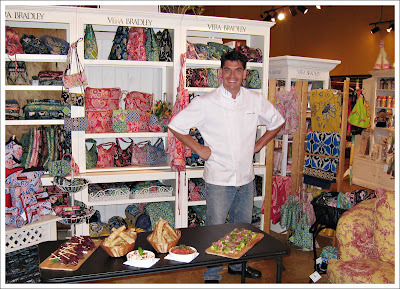 We had a great turnout and everyone RAVED about the Shoppe of Vinings. They took such good care of us, and based on our sales, they donated $300 to CCFA – plus a GORGEOUS Vera Bradley gift basket for our drawing (congratulations Lynn!). Jenny Jones was the winner of the photo session from CCJames Photography (aka ME) so CONGRATS to Jenny too! I can’t say thank you enough to the Shoppe of Vinings and Taverna Fiorentina for hosting our event. They were so gracious and willing to help with anything. The food was magnificent, the wine was delicious, and the atmosphere was simply delightful. And, to all the ladies (and even a couple brave men) who took the time to come by and shop for a great cause – THANK YOU – THANK YOU – THANK YOU! Jeff and I have posted another matching donation today, so we are currently OVER our goal of $5,000! Our website says $4876 but there are a few donations missing, including the $300 check that we will turn in at the walk on Sunday. We are so amazed, thankful and appreciative of all the generosity and support we have been given. What else can I say – but thank you AGAIN!